Budgeting is a basic and essential process that allows your business to attain many goals in one course of action. Planning is the primary purpose of budgeting, as budgets allow a business to take stock of revenue and expenses from a previous period, and gauge where the business will be in a future period. Budgeting is about maintaining control and evaluation in and over your business. Having a degree of control over costs, such as not allowing many types of expenses to take place if they were not budgeted for, is important to ensure cash flow and growth. At times budgeting can generate negative feelings with employees because their compensation and, indeed, their jobs, may be dependent on meeting certain budgeting goals. This happens when budgeting is used for evaluation or is a top-down process, rather than a participative one. Involving your team and people in the budget is the best way to turn a budget into a motivation and communicate financial objectives so that resources can be coordinated and focused in key areas with less resistance. Importantly when an employee is involved in creating his or her department’s budget, that person will be more likely to strive to achieve that budget. Business budgeting is important to overall business strategic planning. Whether it’s personal or business budgeting taking the time to quantify income and to track expenses is a key part of business planning. 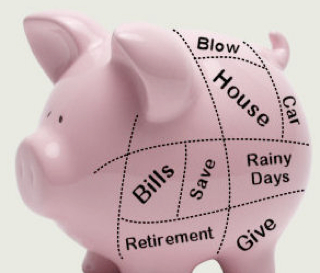 Financial planning tools are available to facilitate tracking and planning. Whatever financial tool is used - budgeting tool, financial planning software or the more traditional way of hiring a financial adviser - basic factors to achieve an effective budget remain the same.